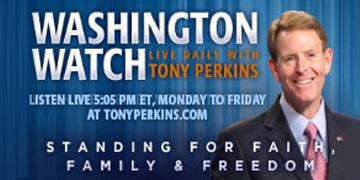 On Thursday’s edition of "Washington Watch with Tony Perkins" NewsBusters' Executive Editor and Director of Media Analysis at the Media Research Center, Tim Graham, is here to comment on CNN filing a lawsuit against the Trump Administration in response to one of its reporters losing his White House credential. Law professor at the UCLA School of Law, Eugene Volokh, will further discuss the case and whether revoking the press credential was lawful. Senior pastor of Times Square Church in New York City, Pastor Carter Conlon, is here to share about his “It’s Time to Pray” project. Vlogger known as "The Activist Mommy," Elizabeth Johnston, joins Tony to weigh in on the story of a Florida school district that has apologized for showing an inappropriate Planned Parenthood video to high school students. Also, House Minority Whip Steve Scalise (R-La.) joins Tony to give us the report on the GOP leadership elections yesterday, where he unanimously won the vote for minority whip.